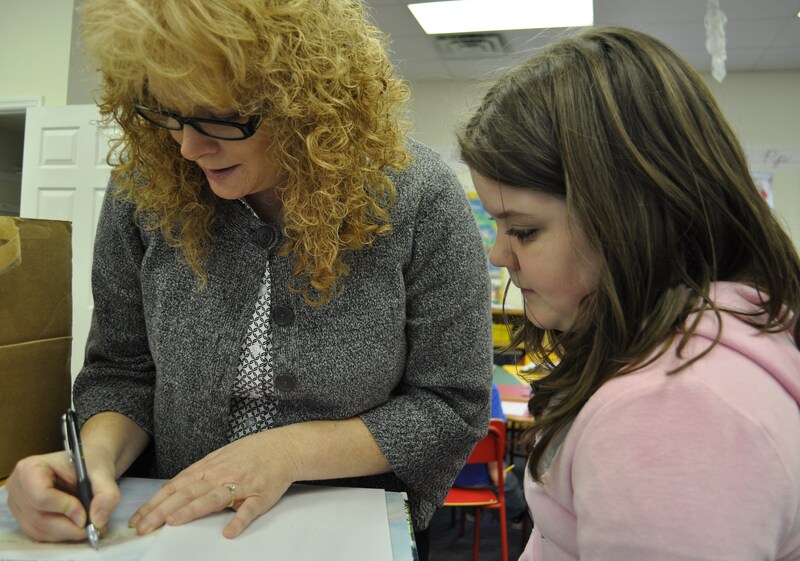 West Virginia’s Teacher of the Year visits ABLE Families! Our Afterschool students received a special treat last night. The 2011 West Virginia Teacher of the Year, Drema McNeal, paid a visit to the program. Ms. McNeal received the honor recently from the state’s Department of Education. Ms. McNeal is also an author of children’s books. Her books include Kyle’s Colorful Life, a story about a boy with autism, and Jakes Learns All 8 Parts of Speech, a grammar book. She talked with our kids about reading books and being a writer, and she read to them from one of her own books. 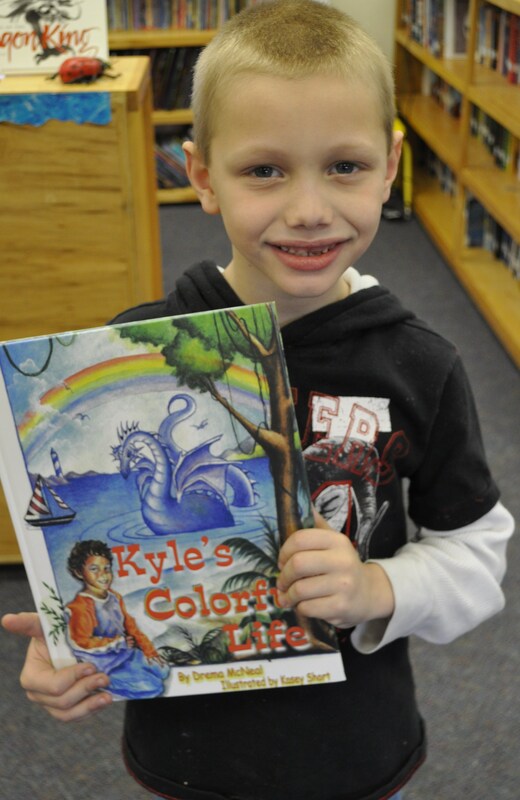 All of the children who were present for her visit received a copy of Kyle’s Colorful Life. (That’s a gift that’s possible thanks to our generous donors — thank you from our kids!) Ms. McNeal signed every child’s copy while she was there. We’re honored that Ms. McNeal was so interested in coming to visit the kids we serve. She responded as soon as we invited her, and she insisted that she wanted to donate her time with us. It’s a wonderful and generous way to promote literacy among Mingo County kids. UPDATE: Our thanks to our friends at the Williamson Daily News for the front-page article they published on Mrs. McNeal’s visit, and to the good folks at The Martin County-Tug Valley Mountain Citizen for their helpful coverage as well. Our mission is to confront the systemic causes of poverty by supporting families as they make positive changes in their lives. ABLE Families has been designated a national "Promise Place" by America's Promise Alliance. Dee Kapourales on Vegetables anyone? DeeKapourales on New set o’ wheels! ABLE Families makes The State Journal’s ’55 Good Things about West Virginia' list! Great new WV resource … featuring ABLE Families! Is Literacy A Catholic Issue?